At CrossFit Shady Grove, we don’t use fancy machines. Instead, we use kettlebells, barbells, medicine balls, sleds, along with running, jumping, climbing, and lifting to get you into the best shape of your life. Our fitness programming aims to improve your capacity in ten recognized fitness domains: cardio-respiratory endurance, stamina, strength, flexibility, power, speed, coordination, agility, balance and accuracy. The result is comprehensive physical fitness and restored vitality. The trainers at CrossFit Shady Grove are more than just part-time coaches. We are a team of fitness professionals who have the skills and knowledge to help you reach your fitness goals, whatever they may be. Justin is an absolute Batman fanatic. He’s been collecting Batman memorabilia for years and even creates sculptures like masks and props. “Halloween is the best holiday ever,” he says. The enthusiasm Justin has for the Caped Crusader is nothing compared to the passion he has for his coaching clients. “It’s absolutely incredible seeing others get excited about hitting a PR, or getting their first pull-up or muscle-up,” he says. “It’s infectious, and motivating for me as a coach, and only drives me to better myself both as a coach and an athlete. Lauren first tried CrossFit in 2014 at the urging of her friends. “I fell immediately in love with everything about it,” she says. Since then she has enjoyed the many benefits of strength training, and working with a barbell. She loves weightlifting, and helping others reap the benefits of barbell training! Lauren wants to share her love of fitness with as many people as possible. “Helping people live a healthier, more fulfilled life is the best job there is,” she says. 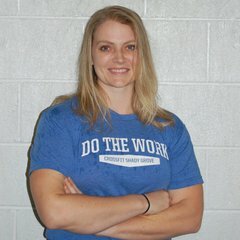 Lauren first joined the CrossFit Shady Grove team as Assistant Manager in 2015, then went on to become a CrossFit Level 1 Trainer in 2017. 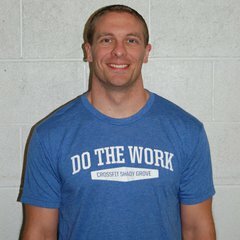 Matt started CrossFit as part of his full-time job in law enforcement. “We utilize it almost daily in our training,” he says. Matt specializes in defensive tactics, and he’s passionate about Brazilian Jiu Jitsu and mixed martial arts. 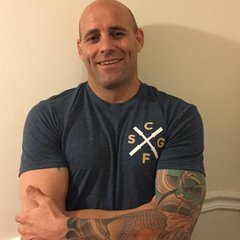 He has “a handful of medals that sit in a box in my basement” from his wrestling and Jiu Jitsu competitions and is focused on only getting better with age. Jason was immediately drawn to CrossFit because of his background in sports growing up. He joined his first CrossFit box when he was living in the Netherlands in 2012. 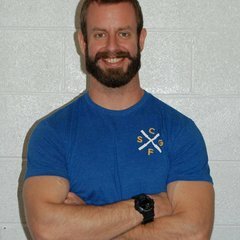 The CrossFit methodology and results he saw convinced Jason that CrossFit was the perfect fit for him. Jason continued his CrossFit journey, and went on to become a Coach in Orlando, Florida. Jason loves coaching because he can share his passion for fitness with others. Angela started her Crossfit journey in 2009 as a challenge by her husband. She grew up playing volleyball but never learned to truly challenge herself athletically until discovering Crossfit. 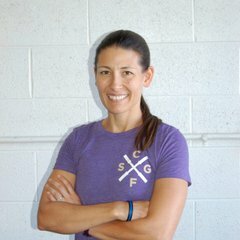 She has a unique perspective, having developed as an athlete through many challenges, including being overweight, pregnancy and now as a mother of three. She has a true passion and excitement for helping others grow and develop while she helps them to reach their personal fitness goals, regardless of their current fitness level. When outside of the gym, Angela is passionate about her children and stays active as a musician in the community. Skyra started crossfit in 2011 after one of her high school English students wrote an essay about it that piqued her interest. Before finding crossfit, she played sports in high school and college, including basketball and track and field. After college she dabbled in group fitness, but quickly got bored. Finding crossfit provided her an outlet to explore movement in a completely different way. She loves lifting heavy and often. 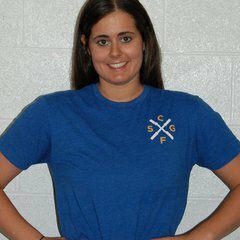 So, after moving to MD from PA and attending Crossfit Shady Grove for two years, she knew it was time to make the move to coach. Like her experiences with acquiring new skills in crossfit, “greatness begins beyond your comfort zone” (Robin Sharma). Skyra currently teaches high school English, but spends much of her free time pursuing fitness related endeavors and raising her hound dog, Lex.